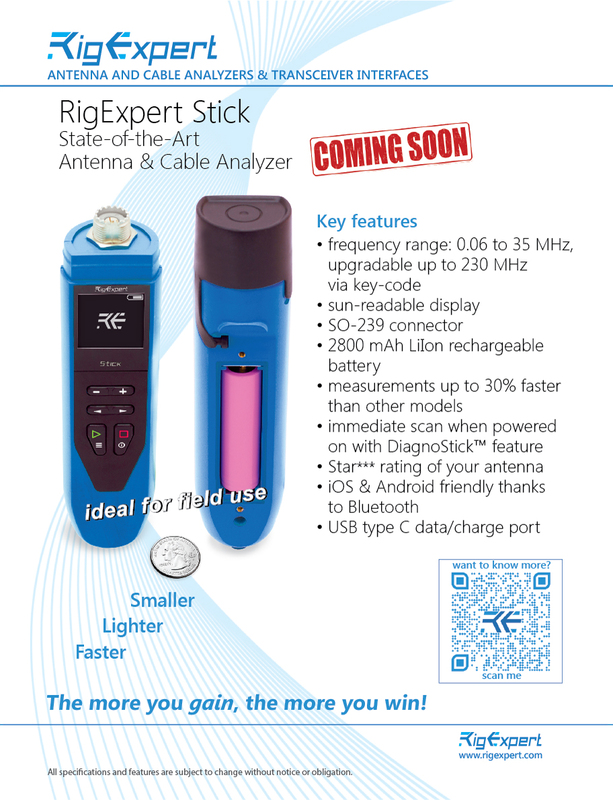 Rig Expert Ukraine prepared a titbit for you, an innovative antenna&cable analyzer model – RigExpert Stick! Open QST May issue at page.109 to see our advertisement there! Check out our news to get more details soon!